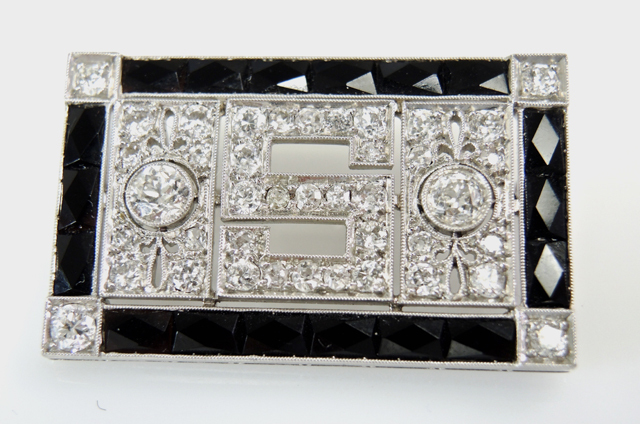 A stunning Art Deco platinum brooch with 2 old European cut diamonds, est. 0.50ct (clarity VS-SI & F-G colour); 39 old European cut diamonds, est. 2.05ct (clarity: SI1 & H-I colour) and 18 French cut black onyx, approx. 4.7 x 2.8mm. 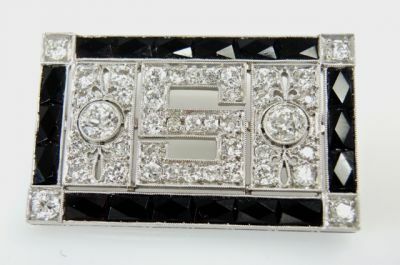 The letter "S" (Super) is outlined with 19 diamonds.